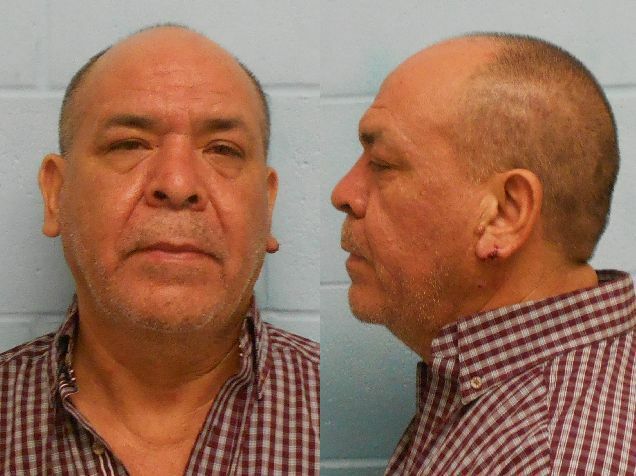 McALLEN — Police arrested a 55-year-old man on drugs and weapons charges Monday after he was treated for gunshot wounds. Jose Marcos Gonzalez of McAllen was arraigned Tuesday for the manufacture and/or delivery of cocaine, possession of marijuana and unlawfully carrying a weapon, according to McAllen police. His bond is set at $150,000, $5,000, and $25,000, respectively. Gonzalez first came into question when officers responded to a shooting and assault in the 1400 block of West Mobile Ave. around 7 p.m. Monday. He sustained a “grazing wound,” according to police reports, and was treated for his injuries, but police began investigating because they suspected a drug transaction had been taking place. The cocaine charge is a first-degree felony. Possession of marijuana is a state jail felony and unlawfully carrying a weapon is a Class A misdemeanor.